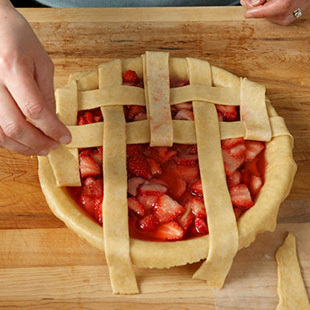 Lattice tops look fancy but this technique is super-easy to master. 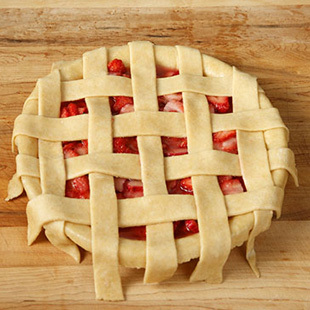 Lattice-top pies are beautiful desserts to share with guests or bring to a potluck or dinner party. 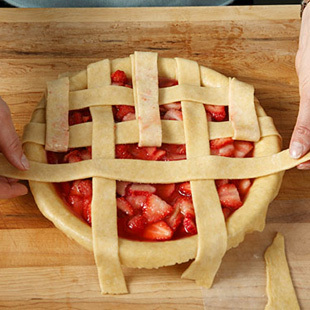 Our step-by-step pie crust technique is an easy way to learn how to make pie crust using the lattice-top technique. 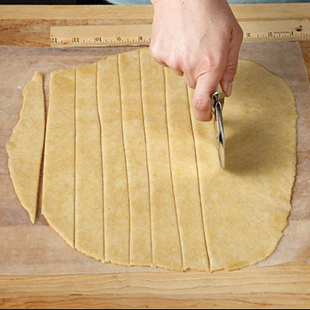 Cut the dough into 1-inch strips using a pastry wheel or sharp knife. Lift off every other strip. 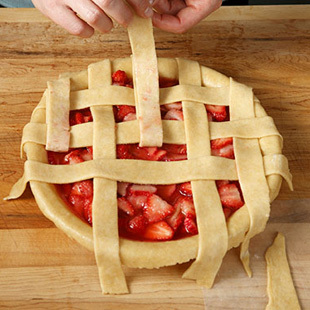 Fold back the first, third and fifth strips of dough all the way to the edge of the pie. 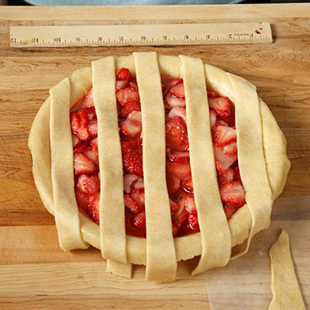 Place a shorter strip of dough across the second and fourth strips, about 1 inch from the edge. Unfold the folded strips over the crosswise strip. 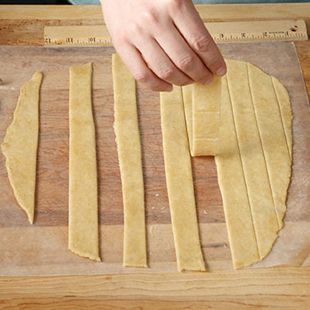 Fold back the second and fourth strips of dough over the first crosswise strip. Place another strip crosswise, about 1 inch from the first strip. Unfold the folded strips over the crosswise strip. 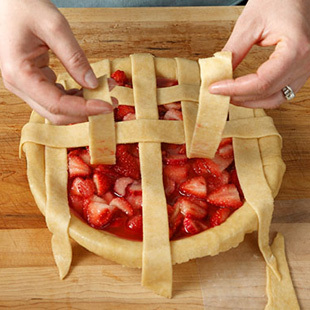 Fold the first, third and fifth strips of dough back over the second crosswise strip. 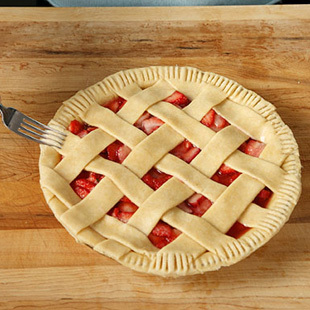 Place a third strip of dough crosswise, about 1 inch from the second strip. 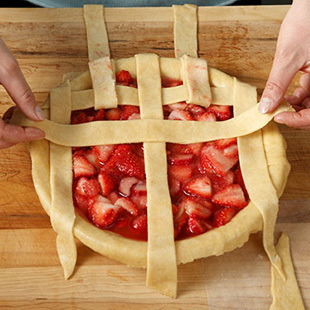 Unfold the folded strips over the third crosswise strip. 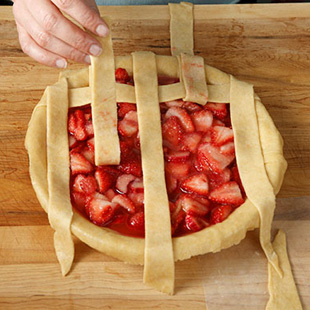 Continue folding back alternating strips of dough and placing crosswise strips until the top is covered with woven strips. 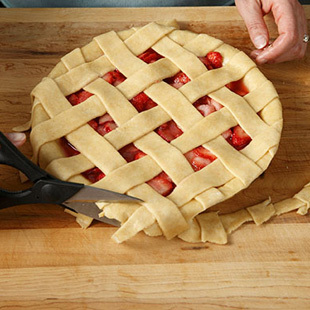 Trim any overhanging crust with kitchen scissors or a knife. 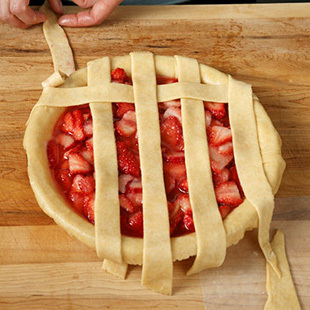 Crimp the outer edge of the crust with a fork or flute it with your fingers.